Updated! Good lecture. Good times. And a devastating epidemic that wiped out so many workers that the local cemeteries ran out of space. Penniman has all of these elements and more, and it’s a great story that needs to be told. 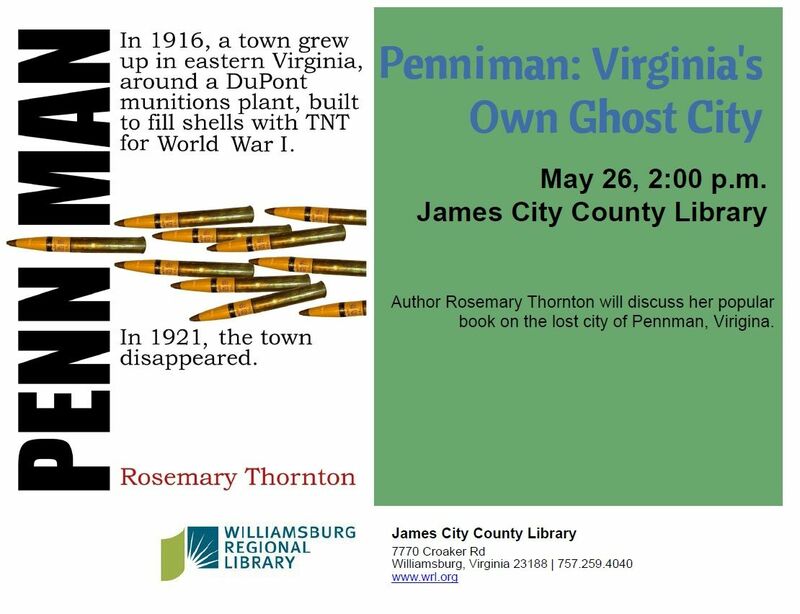 On Saturday, May 26, 2018, I’m giving a talk on Penniman at the James City County Library, at 2:00 pm. If you’re able, please attend and learn more about this forgotten chapter of Virginia’s history! Bricks from the Penniman smokestack were salvaged to build a school for African-American children. The information on Penniman is always expanding and changing! Last week, I obtained this Penniman fob on Ebay. 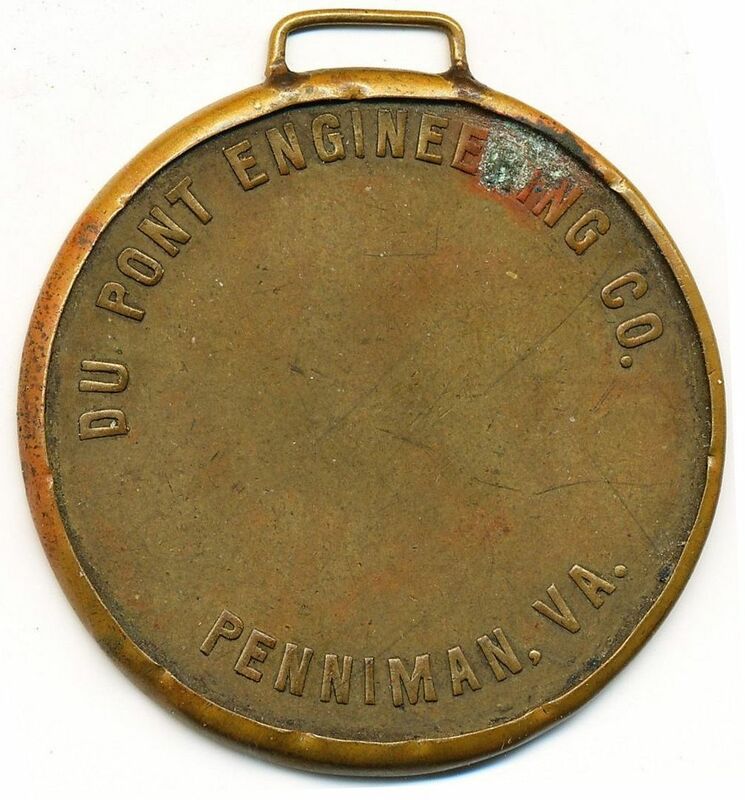 This fob would have been worn by the workers at the DuPont plant, six miles outside of Williamsburg. 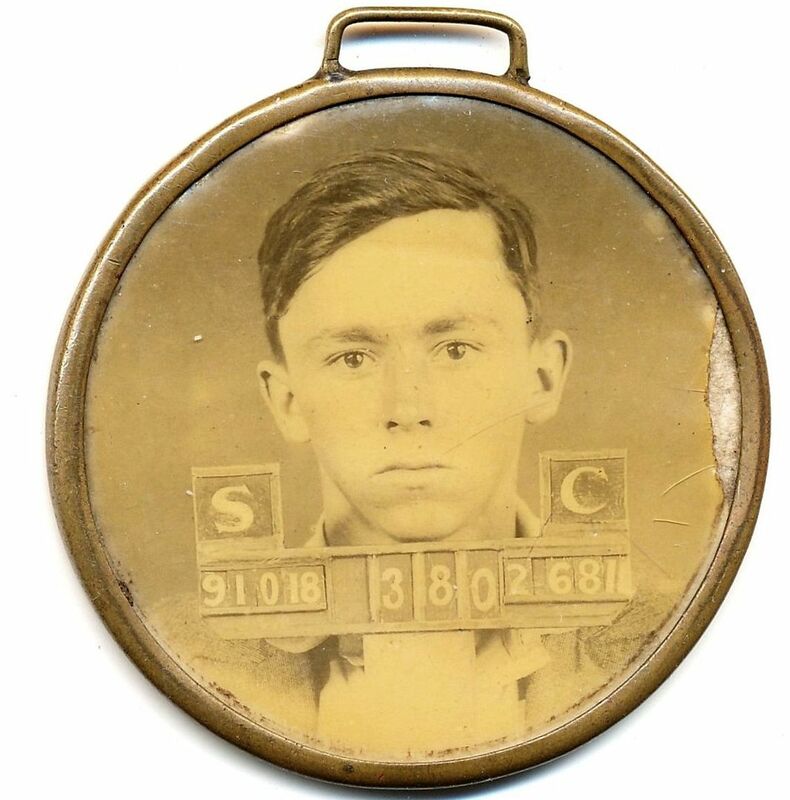 Who is this young man? How I wish that I knew. The rear of the fob shows more detail. Who Doesn’t Love a Story About Ghost Towns? On May 26th, I’ll be giving a talk on Penniman (with lots of new pictures). For a variety of reasons, I’m not sure how much longer I will be living in this area, so if you’d like to hear me give a talk on Penniman, please attend this talk in Williamsburg. And if you’re shopping for the perfect Father’s Day gift - here it is! Want to learn more about Penniman? Click here.